Congress candidate Juri Sharma Bordoloi shows her inked finger mark after casting vote during the 2nd phase of Assam State Assembly elections in Guwahati. 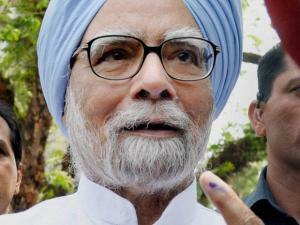 Former Prime Minister Manmohan Singh showing his ink-marked finger after casting his vote at a polling station during the 2nd phase of Assam State Assembly elections in Guwahati. 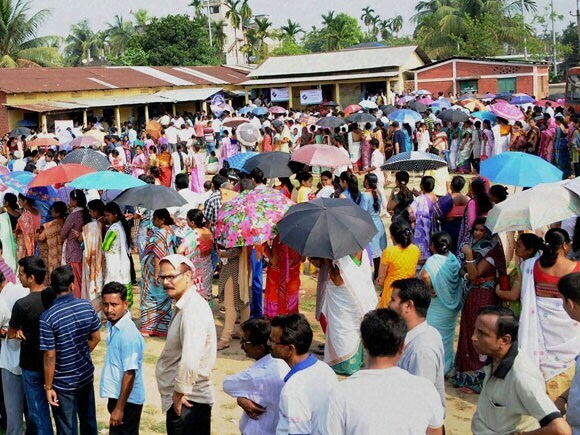 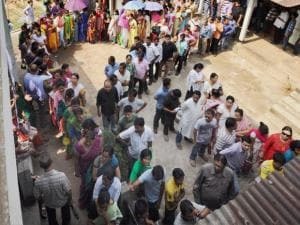 Voters stand in a queue to cast their votes at a polling station during the state assembly elections at Beltola in Guwahati. 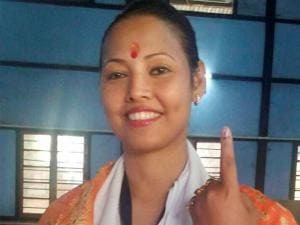 Assamese actress Nishita Goswami showing her ink marked finger after casting vote during the 2nd phase of Assembly elections in Guwahati. 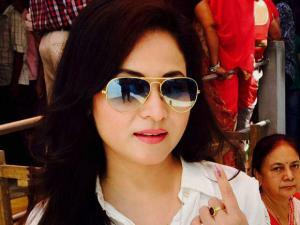 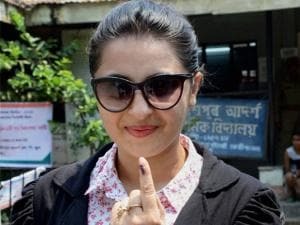 Assamese actress Zerifa Wahid shows her ink marked finger after casting vote during the state assembly elections in Guwahati. 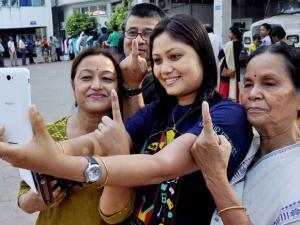 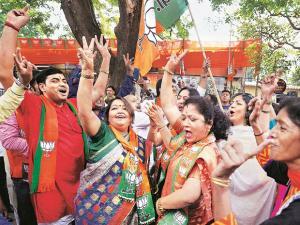 Voters taking selifie after casting votes during the 2nd phase of state assembly elections in Guwahati. 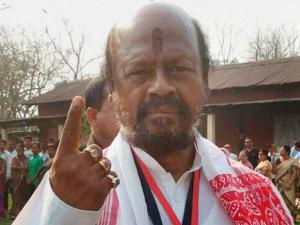 Congress candidate of Dispur Assembly constituency Akon Bora shows his inked finger mark after casting vote during the 2nd phase of Assam State Assembly elections in Guwahati.